I have a crush and its called Bobbi Brown products! Last week I visited the brand's stand in Harrods for a complimentary eye make up lesson and I cannot tell you how much I have enjoyed it and how much I have learned. I am a total rookie when it comes to make up but I am feeling that it's time to turn things around and give it a go. I have recently discovered BB Pro Hannah Martin on Youtube and her make-up tutorials are so fun to watch! She makes it all look so easy and effortless and that is what I need so I can boost my confidence and become fearless in experimenting. 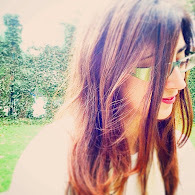 Here I will start presenting you some of my favorite products from the brand. 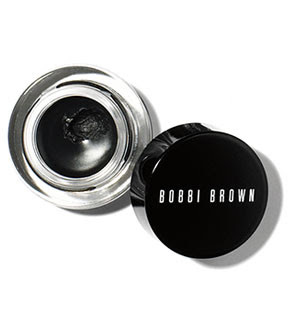 This is the very first product that I bought from Bobbi Brown for drastic changes to my eye make-up. I went for the very popular Long-Wear Gel Eye-liner in black (£18,50). This award-winning long-wearing eyeliner offers the precision of liquid liner with the ease of a gel-based formula. I also purchased the right tool to apply it: the Ultra Fine -Eyeliner Brush (£22,50). This slim, easy to hold and control brush creates a truly flawless line. The brush hairs are finely pointed and tightly packed for precise application. I absolutely love it! Something that I have recently discovered is hot cloth cleansers thanks to my colleague Vicky who suggested I give it a go as a new way of cleaning my face. On my way home this morning, I collected some face cloths that I had ordered online from M & S and I cleaned my face with Emma Hardie's Moringa Cleansing Balm. My skin loved it and so did I. There is no way I am going back to the conventional cleansers now. I am officially hooked. 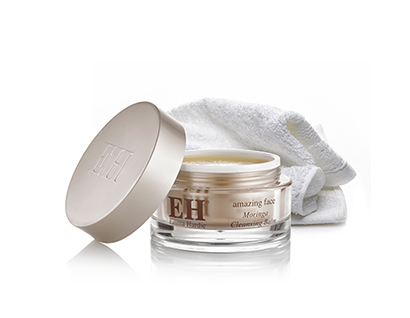 Directions for use: Take no more than a 5p piece of the Moringa Cleansing Balm into the palm of your hand to create a cream. Apply to the face, neck and eye area and massage thoroughly into the skin. Tto remove, soak a cleansing cloth in warm water, squeeze out the excess and gently wipe over the whole face and neck, taking extra care around the delicate eye area. Do you know any other balms that you can recommend? I am dreaming of the sunny weather that I experienced in Menorca a few weeks ago but sadly this is London and the fact that we are in June does not mean a thing. Every day we have showers with a few sunny intervals. On a happier note, the UEFA Euro 2016 has started and I am enjoying it so much! It is currently being held in France until the 10th July. The matches will be played in ten stadiums in ten cities: Bordeaux, Lens, Lille, Lyon, Marseille, Nice, Paris, Saint-Denis, Saint-Etienne and Toulouse. Spain are the two time defending champions, having won the 2008 and 2012 editions. Tonight I am supporting Italy, how about you? Go Italia - amore mio ! Rooted in the long Mediterranean tradition, the evil eye carries a protective signification. It is thought to be a luck charm and protects a person against misfortune. I truly believe in this, even though when I discuss it with my boyfriend, he thinks that I am nuts!! I usually wear a necklace, with a cute, little gold evil eye, which is a gift from my sister. The other day I came across some stunning evil eye earrings by Greek designer Katerina Psoma and I fell under their spell. Choose your favorite color and wear them with positive vibes and a smile on your face.